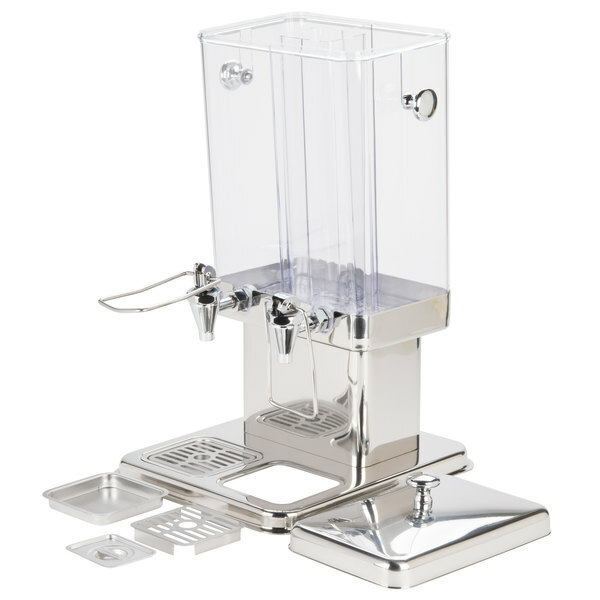 Should I freeze this dispenser's ice core? Since water expands when frozen, the ice core should not be filled with water and then frozen. Instead, fill the core with crushed or cubed ice. 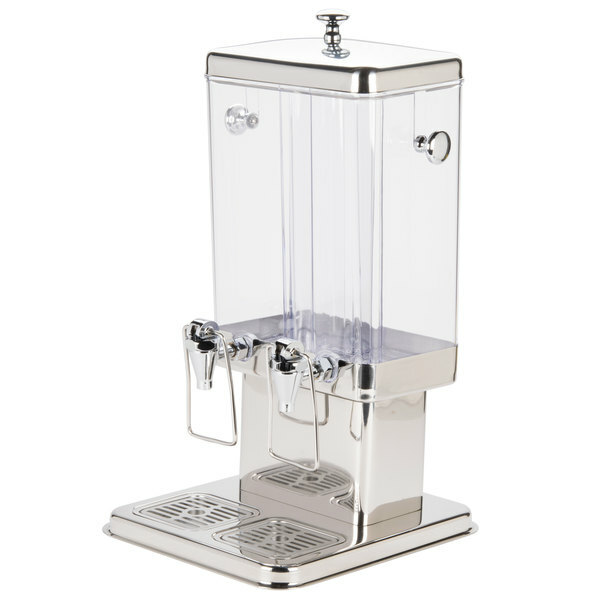 Can I serve hot beverages in this dispenser? 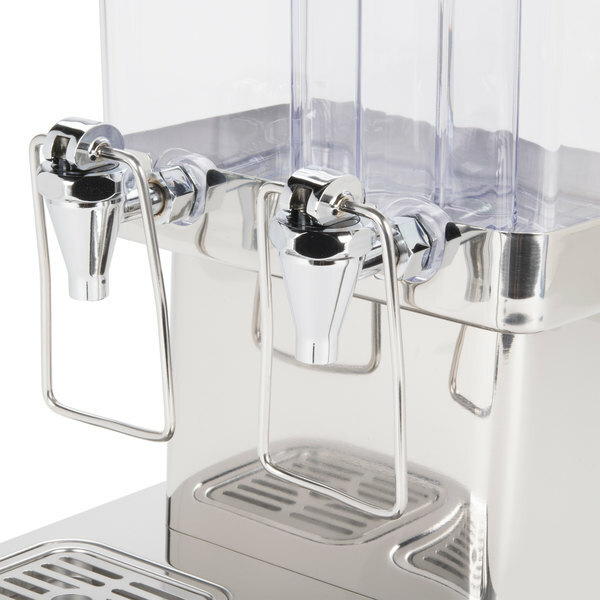 This uninsulated beverage dispenser is not designed for use with hot beverages. 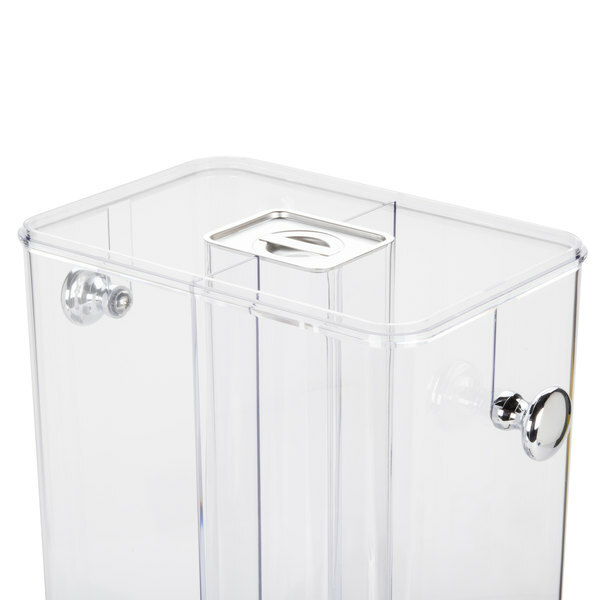 Instead, check out our selection of insulated dispensers that are specifically designed to hold and serve both hot and cold beverages. 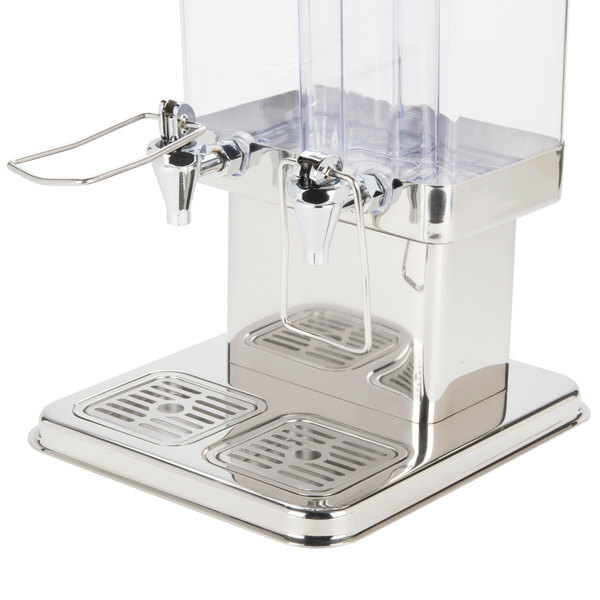 The Tablecraft 70 dual cold beverage dispenser is an elegant way to enhance your beverage presentation. 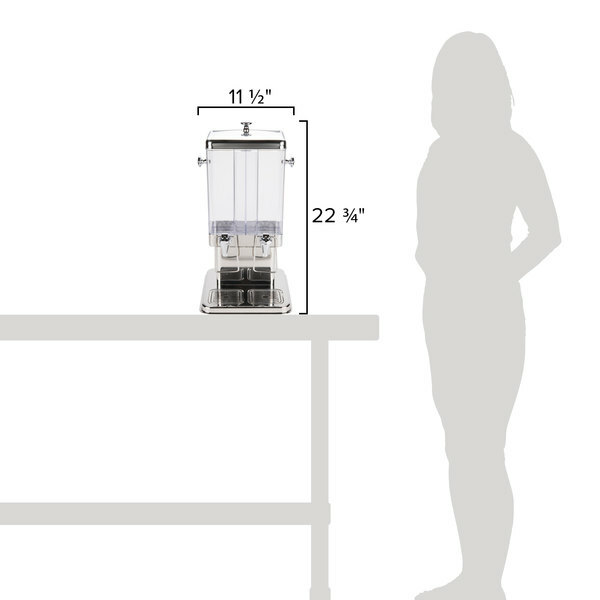 The removable beverage container and drip tray makes clean-up quick and easy. 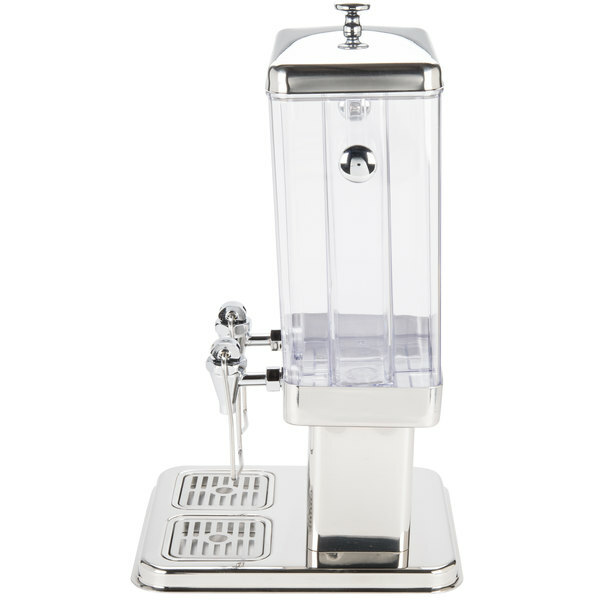 This cold beverage dispenser is perfect for all juices and chilled, non-carbonated beverages. 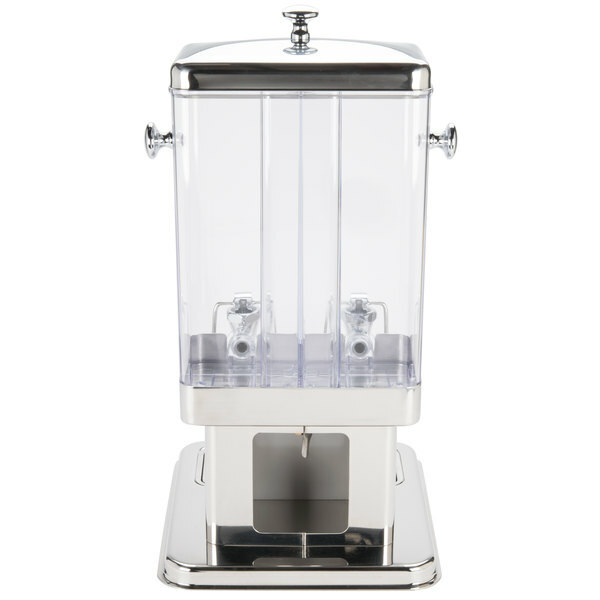 Also suitable for hotels, buffets, and upscale catering events. 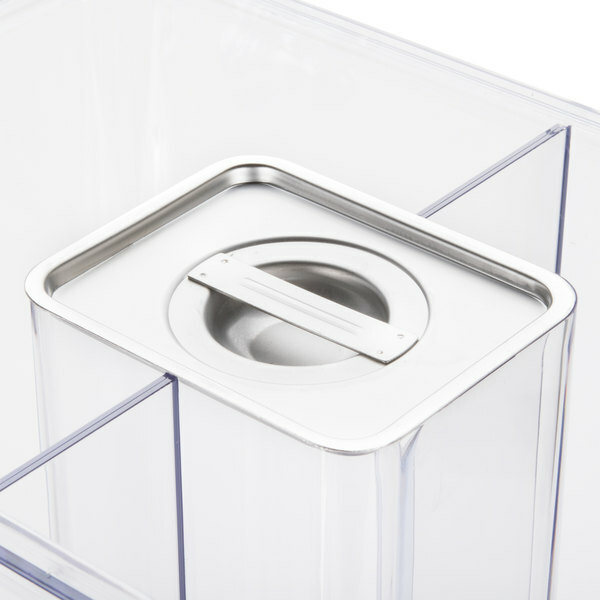 The base and cover are constructed from beautiful, mirror-finish stainless steel, while the clear polycarbonate beverage container gives a perfect view of what is inside. 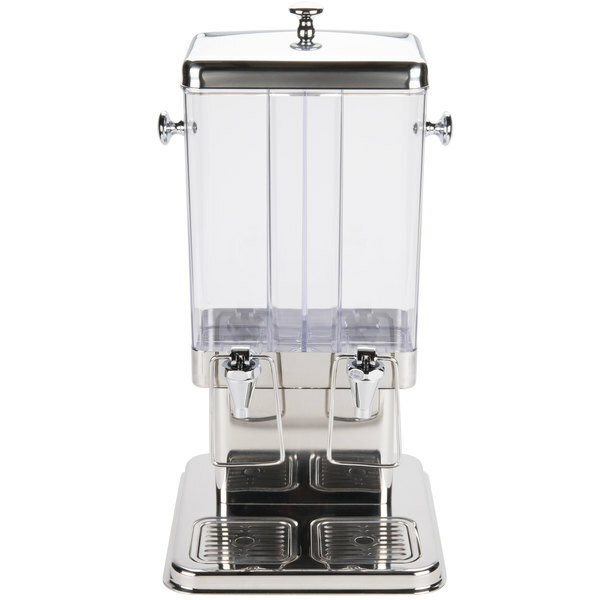 The beverage dispenser features a removable reservoir with a built-in ice chamber for easy cleaning, and a hingless cover design. 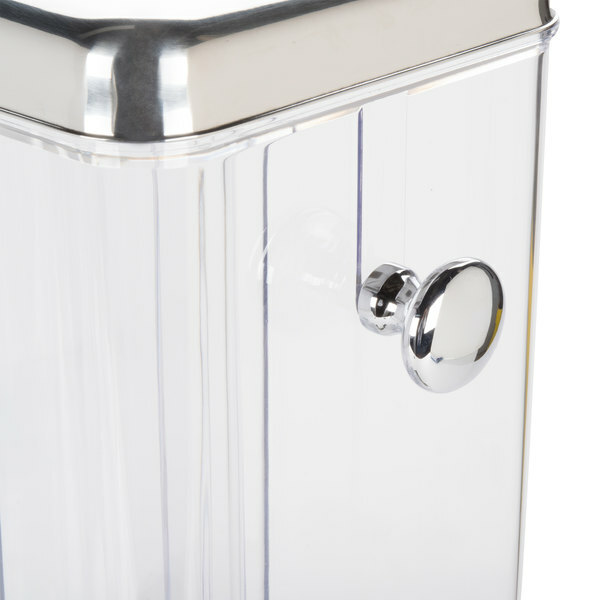 The unique built-in ice chamber keeps the beverage cold without watering it down! This product can expose you to chemicals including BPA, which are known to the State of California to cause cancer, birth defects, or other reproductive harm. For more information, go to www.p65warnings.ca.gov. WARNING: This product can expose you to chemicals including BPA, which are known to the State of California to cause cancer, birth defects, or other reproductive harm. For more information, go to www.p65warnings.ca.gov. 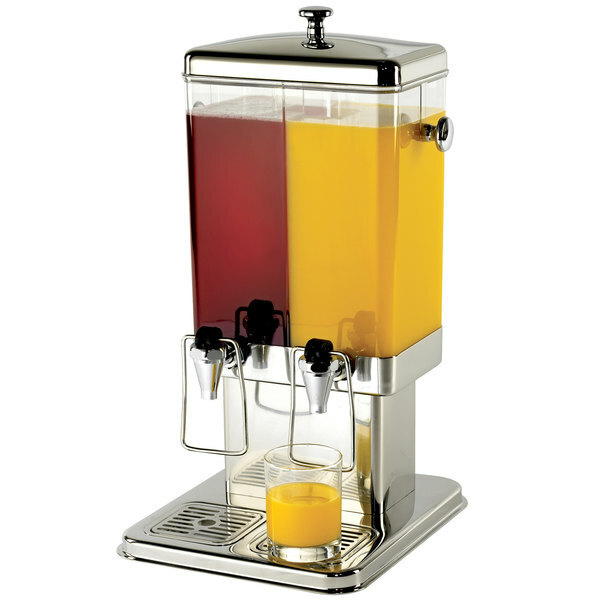 This beverage/juice dispenser works best for cold drinks, however, I have found that they keep my hot beverages hot too. We use ours all the time. 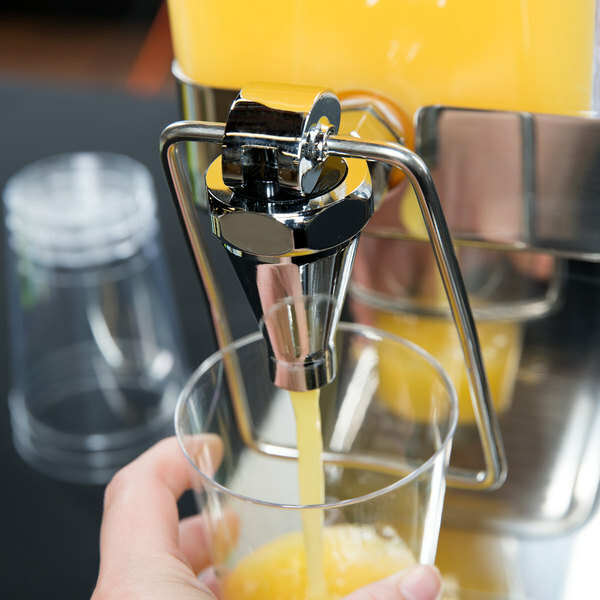 The Tablecraft Dual Cold Beverage/ Juice Dispenser- 3 Gallons is well made. 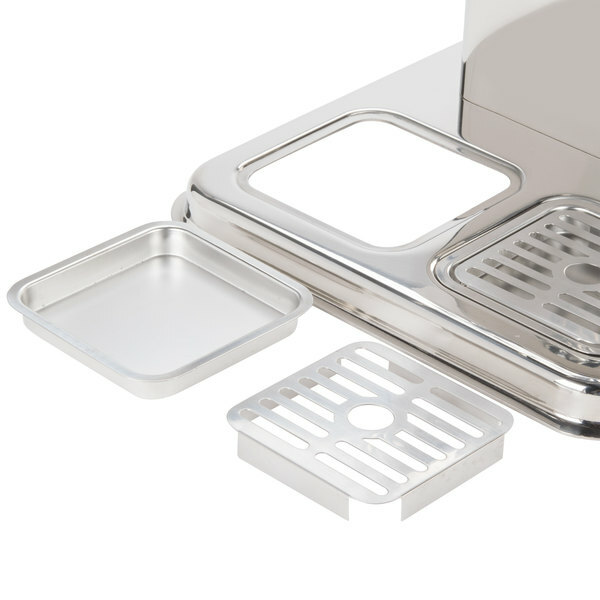 It is eye appealing, durable and easy to clean. 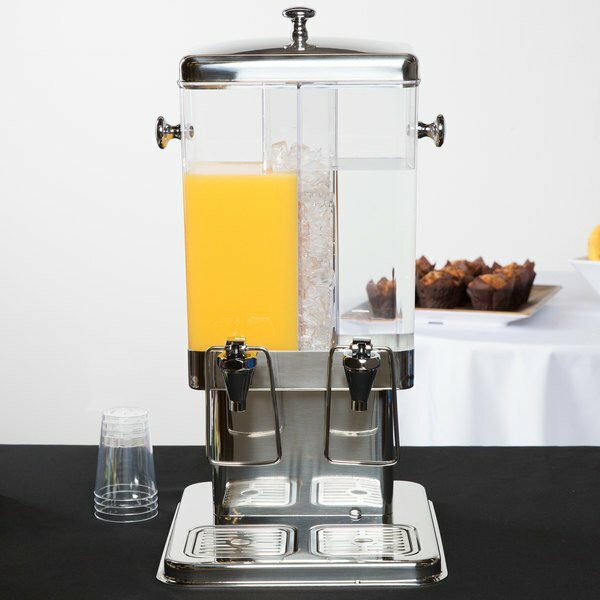 This is great for catering events and restaurants.